The extensive $37.2 million (estimated) renovation will accommodate 1,200 students and incorporate the CAPE School as part of the upgrade to handle 300 students. 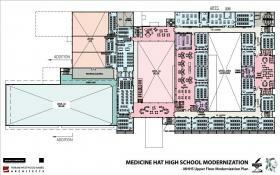 The project is scheduled to begin in the spring of 2015 with an approximate completion date of March 2017. To view the plans, please click here.